When pregnant, many women will experience morning sickness. However, only 200,000 cases will be severe enough to be classified as hyperemesis gravidarum. This number is less than 3 percent of pregnant women in the United States. There is not a cure for hyperemesis gravidarum (HG) and it can be extreme, but it is only temporary and can be managed. Experiencing nausea is common when a woman is pregnant. It can be annoying but does not harm the baby or the mother. Hyperemesis gravidarum (HG) is an extreme case of typical nausea. These two conditions are very different. HG has a variety of complications associated with it. 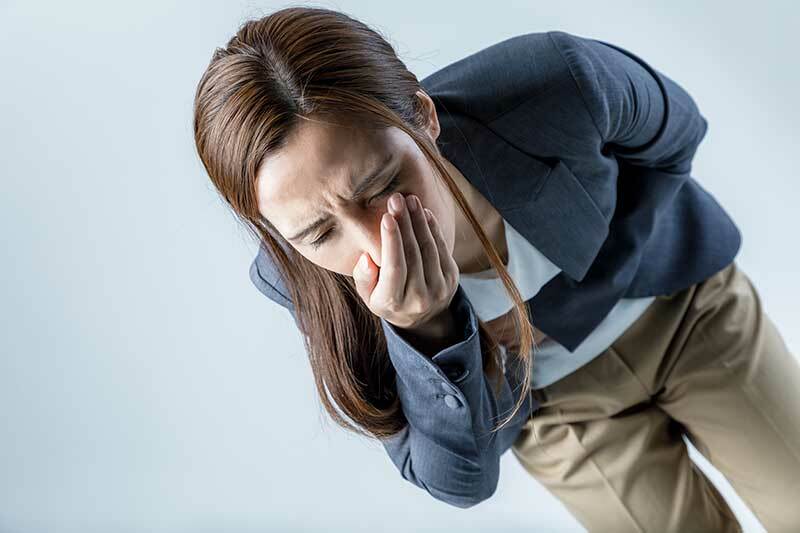 With HG, a woman will experience ongoing nausea and excessive vomiting. HG also lasts longer with symptoms being worst around week nine to week 13 of the pregnancy. For most women, the vomiting and other symptoms fade around week 20 of the pregnancy. Doctors do not have any way to prevent hyperemesis gravidarum. Taking multivitamin supplements may help with some of the symptoms but will not cure HG. How are the Symptoms of HG Different from Typical Morning Sickness? When a woman experiences morning sickness, she feels nauseated, which sometimes results in vomiting. These symptoms in most women will go away after 12 to 14 weeks of pregnancy. 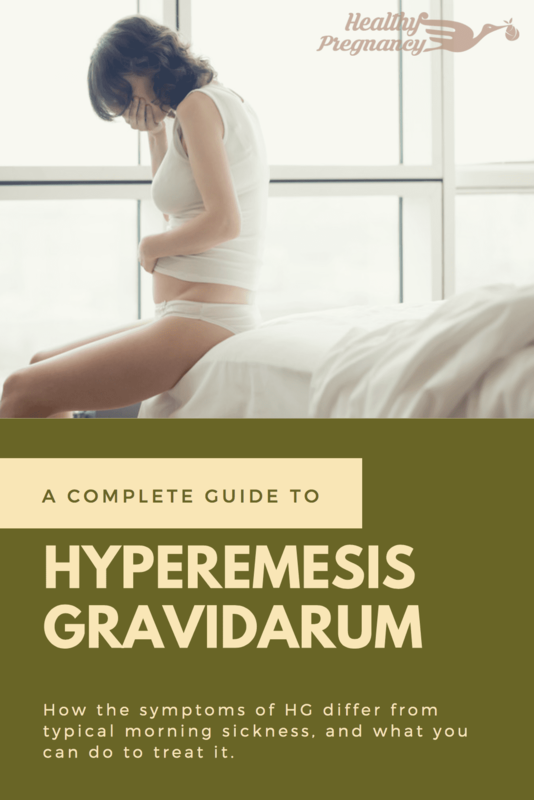 Hyperemesis gravidarum symptoms also continue during the first three months of pregnancy, but most women do not have any symptoms that last the entire pregnancy. 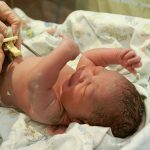 While the exact cause of hyperemesis gravidarum is unknown, doctors have determined a connection to the production of the human chorionic gonadotropin (hCG) hormone. The placenta creates this hormone while the woman is pregnant. It is produced at a super increased rate during the first few weeks of pregnancy. According to the American Pregnancy Association, the hCG hormone levels continue to increase throughout the woman’s entire pregnancy. Some of the complications associated with HG can be extreme conditions due to dehydration. If a pregnant woman has been diagnosed with hyperemesis gravidarum, it is critical to making sure she stays hydrated to avoid many of these complications. Women who suffer from this may vomit five times daily or more frequently and lose around 5% of their overall body weight. Hyperemesis gravidarum also can affect the woman’s kidneys causing them to malfunction. Electrolytes are the minerals needed for your body to function correctly. These minerals include sodium, potassium, calcium and magnesium. If these chemicals are below average levels in a woman’s body, her blood pressure and many areas of the body can be affected. One of these areas is the muscles. An electrolyte imbalance can cause damage and weaken your muscles. This statement is especially true if the woman is bedridden due to dehydration. These complications can seem severe, but a doctor can help manage them to prevent permanent damage. If a woman thinks she is experiencing hyperemesis gravidarum, she needs to tell her doctor as soon as possible because it can also affect the unborn child. The child can be born early or below the average birth weight. These two conditions can cause the child issues as he or she grows. Doctors choose a treatment plan based on the symptoms and the effect of those symptoms on the woman’s health. The first recommendation may be to incorporate ginger and thiamine into a woman’s diet. For some women, ginger may lessen symptoms and thiamine may help to decrease vomiting. Another recommendation may be to eat smaller meals more frequently. A doctor may also include electrolyte-enriched drinks to the treatment plan. If these measures are not sufficient, a doctor may prescribe various medications, such as antihistamines, to stop a woman from feeling nausea and vomiting. If the symptoms persist or a woman becomes dehydrated, a physician may admit her to the hospital, to compensate deficiency symptoms by infusion therapy.